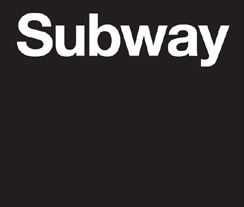 Fans of Helvetica and the New York City Subway System can now proclaim their allegiance with a specially-designed t-shirt. 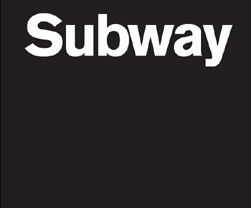 The black t-shirt, designed by Abby Goldstein and Paul Shaw, mimics the binding of the Blue Pencil edition of the book with the word Subway in white on both sides. On one side it is set in AG Oldface (standing in for Standard) and on the other in Helvetica. The incredibly soft 100% cotton shirts are manufactured by Next Level Apparel. Contact Paul Shaw for available sizes.